You can get this Trophy when a pumpkin bomb ball explodes in one of Doctor Octopus' tentacles on Spider-Man table. Set the sign of the Fantastic Four on fire with Human Torch on Fantastic Four. Finish all the main missions and save the world on Fantastic Four. Have at least 5 allies with either Iron Man or Captain America on the Civil War table. Win a fight at Very Hard level: your opponent must have at least two more allies than you on the Civil War table. Earn your first rank by completing the clone training on the Clone Wars table. Make 10 jumps in a row over the Sarlacc pit on the Boba Fett table! Travel through Wild Space to fight the Battle of Kamino on the Boba Fett table! Uncover the dark secret of Darth Vader at the end of Scene 6 on the Star Wars Episode V table. Score a Dark Side award on the Star Wars: Episode VI table. Start the Death Star multiball for the first time on the Star Wars: Episode VI table. Complete a round in the Lone Fighter Mission on the Star Wars: Starfighter Assault table. Collect 100 Commendations for your pilot with one ball on the Star Wars: Starfighter Assault table. Question 3 rebel officers in the Force mode on the Star Wars: Darth Vader table. Waste 5 X-wings in the Trench Run mode on the Star Wars: Darth Vader table. Defeat the Eye Of Agamotto mini playfield on the Doctor Strange table! Finish a perfect Tusken Raider mode on Star Wars™ Pinball: Episode IV A New Hope table. 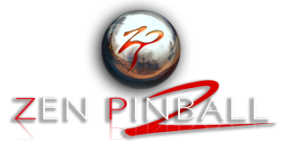 Initiate a Yavin multiball on Star Wars™ Pinball: Episode IV A New Hope table. Get C-3PO out his unfortunate predicament by completing the Fix C-3PO mode on the Star Wars™ Pinball: Droids™ table. Shoot two balls subsequently into the space slug on the Star Wars™ Pinball: Han Solo table. Make a double skill shot from the manual plunger on the Star Wars™ Pinball: Masters of the Force table! Make combo shots and reach a Master Combo on the Masters of the Force table! Start a Weasel or a Blind Al mode with a locked ball in The Box on the Deadpool table. Activate Butters' Outfit mode and collect a new outfit on the South Park: Butters' Very Own Pinball Game. Activate the Bikers Multiball on the South Park: Butters' Very Own Pinball Game. Activate the Windy Bumpers on the South Park’s Super-Sweet Pinball. Activate the Mr. Hankey multiball on the South Park’s Super-Sweet Pinball. Launch a probe and get it to the right spot on Secrets of the Deep! Complete two successful shots against the galleon during Mock Warfare on Rome! Seize control over the garrisons at least seven times or start FRENZY on Rome. Amass your first million with the Mad Professor watching on Biolab. Breach quarantine after completing all missions and escape on Biolab. Hit all of the guardians of the hidden mini-playfield on Pasha! Open the book and complete all tales on Pasha.